A beginner's look at how to make great photographs utilizing the modern digital camera. Each week learn the basic fundamentals of how to go beyond "point & shoot" and understand the use of the camera controls to get the photos you want. Understand exposure, how to control "depth-of-field" with aperture, controlling motion with shutter speeds, what lenses & focal lengths are best, composing your photograph, white balance, how to use flash and finish with a final photo critique. Handout material will be provided to summarize each class. 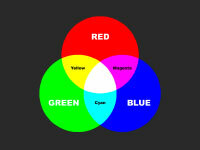 How sensor resolution, print size and file types, effects the image quality. 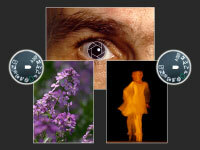 How to interpret what the camera meter sees into effective exposure. How Aperture and Shutter speed affects the photograph. How to arrange the elements in your pictures to best effect. How white balance works and when to change it. Using the standard white balance "presets"
Understanding how flash works and when to use it. How to deal with flash "fall-off"